Americans have been celebrating Flag Day since before President Woodrow Wilson declared June 14 to be a national commemoration in 1916. 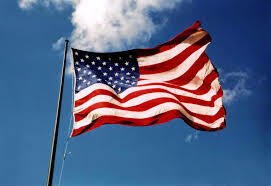 We will have a flag and pledge study day as part of our summer calendar studies and a jump start on our upcoming American History unit studies. Below are the best links I found for our homeschool to follow as we review and learn about our flag. This entry was posted in American History, Our Homeschool, Special Days, Unit Study and tagged American Flag, American History, Flag Day, homeschooling, summer school, teaching resources on June 14, 2013 by Betty Jo. Flag Day resource list has been edited and updated for 2017 Summer Learning!